For backups everyone use some sort of solution. However, even with the best data backup solutions for your business, there can be moments of tension for when disaster strikes. Everyone wants to be as prepared as humanly possible so that they can almost expect every kind of danger and still combat it before its effects are felt. This means having to embrace a lot more than just a good service provider. You will be required to consistently take up data backup practices that will complement the backup solution you settled for. So then, which practices should you be spotted doing for your data backup strategy? Data backup is not a one-time solution for your business. You need to have a plan clearly developed to explain to steps to your data recovery upon loss. The plan should accommodate for anticipated adjustments and upgrades in the event of too much data generation. Consider making known your data backup plan to your staff members clearly explaining their role in the backup and recovery process. Backup systems are bound to have loopholes that go unnoticed, some of which can compromise your whole plan. This is why you need to regularly test your backup plans for both the automatic and manual backup processes. Whether or not you are facing an incidence. The testing practice allows you to be well prepared for them with a clear understanding of how much time the process takes and what steps are really demanded through the whole process. Whether or not your backup plan is automated, you need to be deliberate about regularly backing up your data. The frequency you choose to back up your data should depend on how much amount of data you create within a specific period of time in relation to how much of it you are willing to lose if disaster strikes at any given point. Consider doing increment backups as often as possible and full backups when necessary to ensure new and old files are optimally backed up. Data backup is just one way to protect your data, but there are a couple of other necessary data security measures you should implement for your business. Use firewalls, antispyware and antiviruses as a means to protect your data against malware and virus attacks before they strike. While at it, be cautious that you and your team stay away from suspicious links and websites that are inviting to spyware, malware, and viruses. Additionally, consider using complex passwords and passphrases for your data, especially the sensitive kind, as an extra security measure. For software developers and sysadmins Ottomatik is among the leading data backup service providers with amazing features that guarantee you proper storage and security for your data. What is the 3 2 1 rule for backing up data? This basically means having three copies of a file or data, two stored in different places, usually different physical devices like a USB drive and a CD disk, and one off-site. This commonly used strategy allows you to have several stored data to make the recovery process much easier, which means you need to consider a couple of different backup plans all of which should complement each other as they get the job done. Data backup process involves may involve more than one person, which means that the backup and recovery process involves multiple parties. Train your staff on their part of the process and the precautionary measures they continually need to take like frequently saving their data and updating their operating systems, not forgetting switching off devices after use. The training process should be a continual practice so that all the personnel in the workplace are up to speed with the processes and any new changes. Before you can even settle on a data plan, consider its scalability. A business undergoes a lot of transition over a period of time, which means that data generated increases with time. For this reason, scale your backup solution as often as possible to accommodate new information. Tip: Instead of having to acquire new devices to accommodate for your data growth, you can get the best out of the storage space you have by compressing your files and data during storage to take up as little space as possible, minimizing on the scaling needs. There is always a need to check and recheck the data you have backed up. This way, you can get rid of duplicate files in one storage space. Duplicate files in one storage space just consume double space. Auditing your backed up data is also a means for you to review your daily backup logs. Although the log analysis and backup auditing process can be time-consuming, it is invaluable the reports you generate at the end of it, which will inform your future practices as of matters to data recovery. Most business owners focus so much on data back up and forget to be keen on the recovery process, which is just as important if at all the backed up data is to remain valuable to the business. As you test your backup process, test your recovery process as well as train your staff on the steps in the recovery process. Retrieving data from servers and applications to formats agreeable to your devices is a process that takes time and you need to anticipate this. Remember that speed is essential for the recovery process, otherwise you will experience a lot of downtimes that will cost you huge profit margins and productivity. Data backup seems as a safe place for a business, but not so much if it is outdated. The pace at which technology is advancing has forced service providers to constantly upgrade their services for better results. 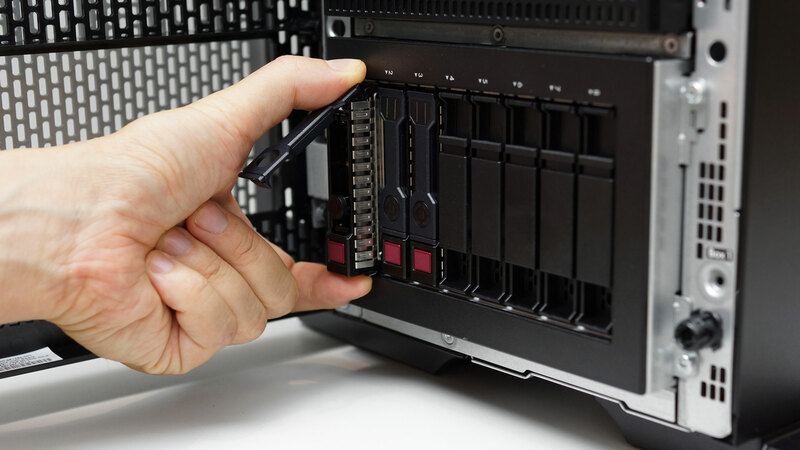 Ideally, as you choose the most appropriate backup strategy for your type of business, consider more updated data backup solutions, for example, the cloud instead of tapes. Regardless of the backup application and service provider you use, these 10 practices should be considered for you and your staff members as an extra measure for data storage and protection.